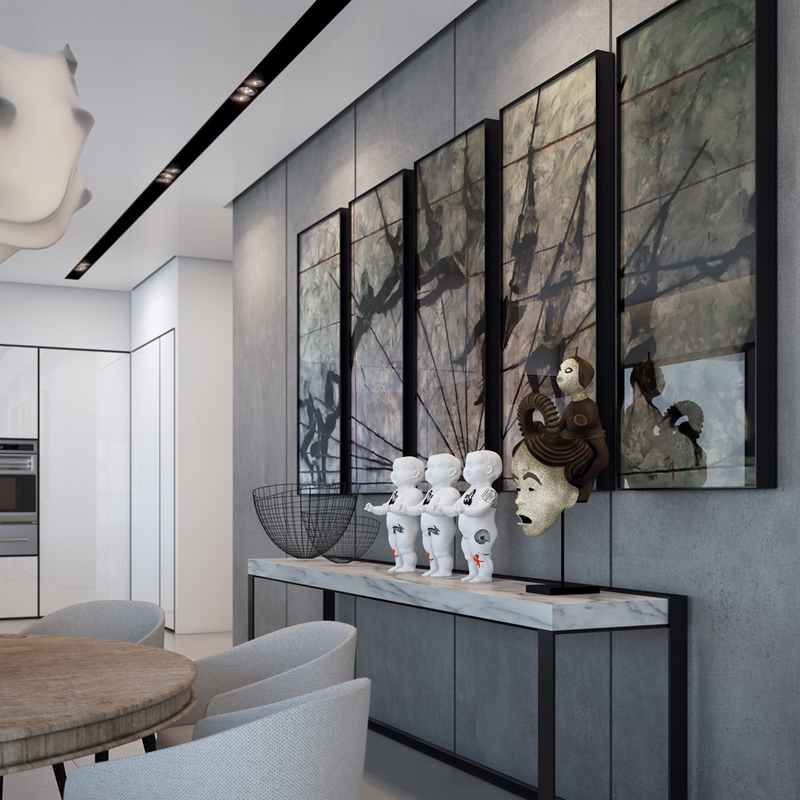 Here we are featuring four superb concept homes that come with a touch of luxury in all, but each with a different interesting twist. Meander through this set of outstanding interiors with us, including living areas, bathrooms, dining rooms, hallways and kitchens, and take a break from the ordinary. 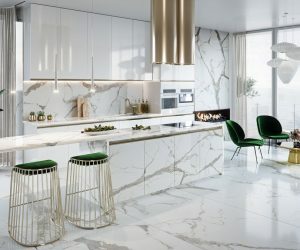 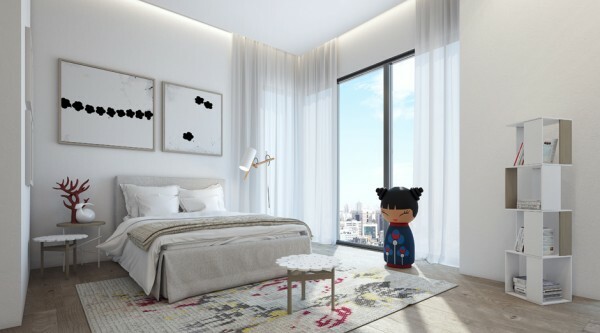 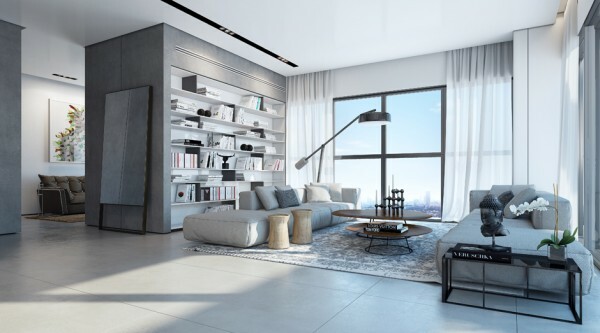 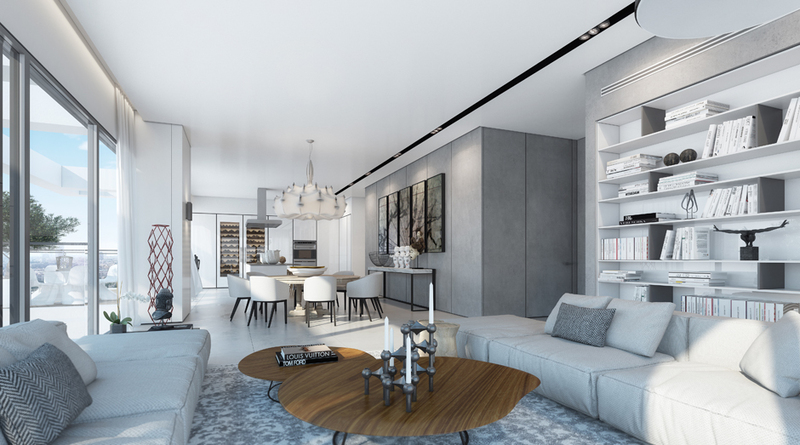 The first space is designed by Leandro Silva, who brings us a vast home design with split floor levels and bespoke built in sofas that almost appear to extrude out of the wood floors. 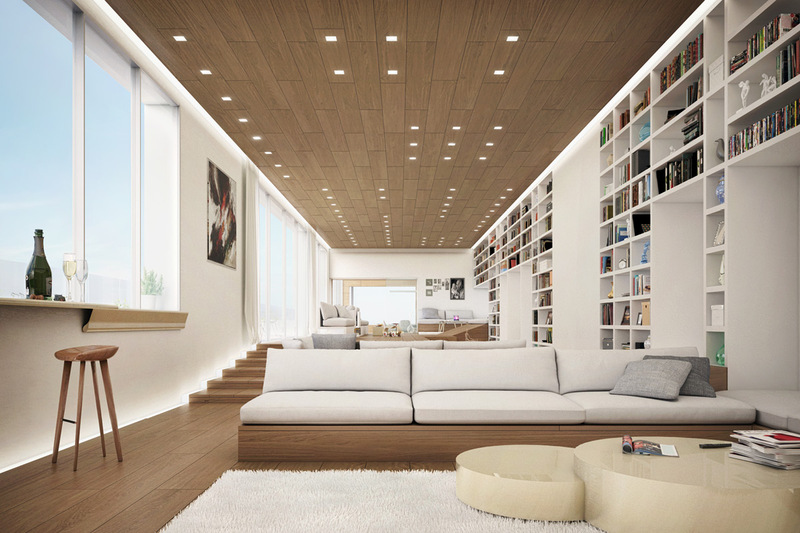 Massive rows of bookcases are built into the walls to provide seemingly endless storage for artefacts and the home library. 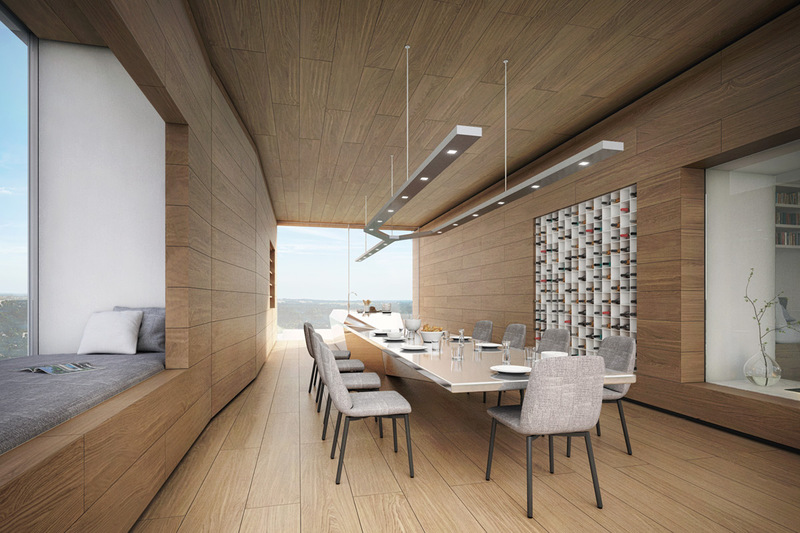 The raised level allows the view to be enjoyed from the high windows, whilst the lower level creates a feeling of secluded privacy from the outside world. The bespoke seating flip-flops between outward facing to the panorama and inward facing to the room. 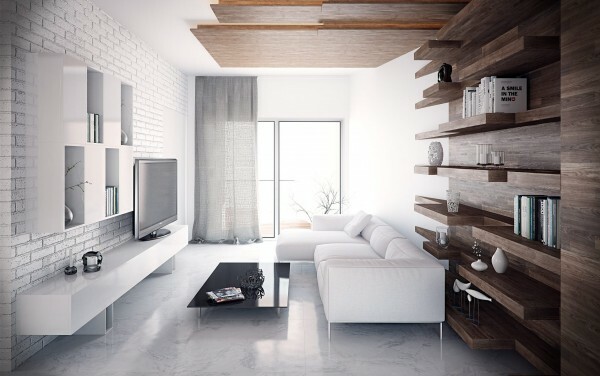 Wood grain rises from floor level to cover walls and ceilings, which makes the large rooms feel cozier. 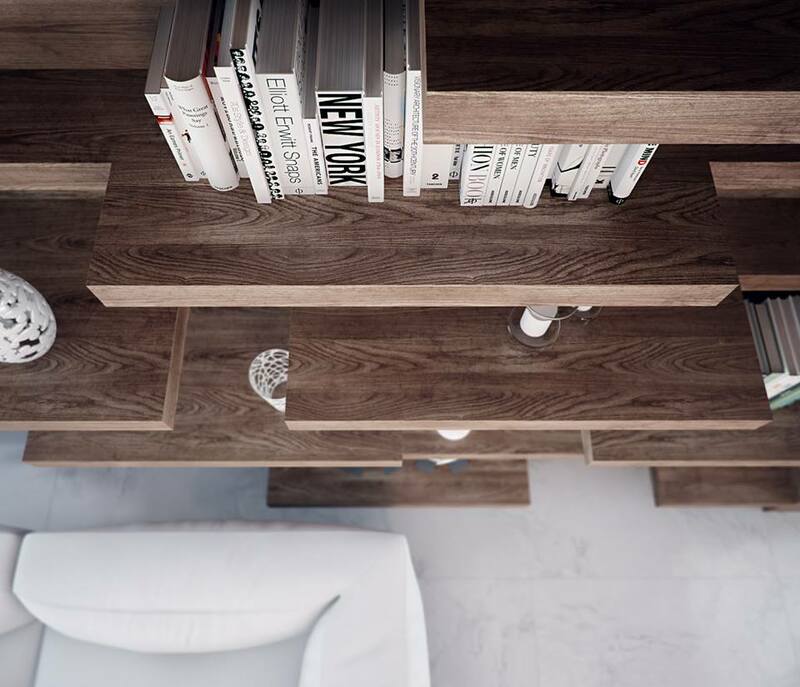 The cubby-style shelving found in the living area transforms into a vast wine rack, conveniently on hand for dinner parties. 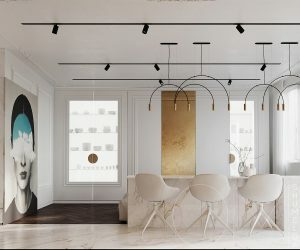 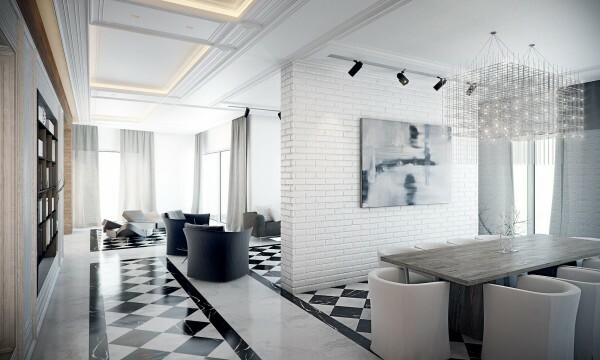 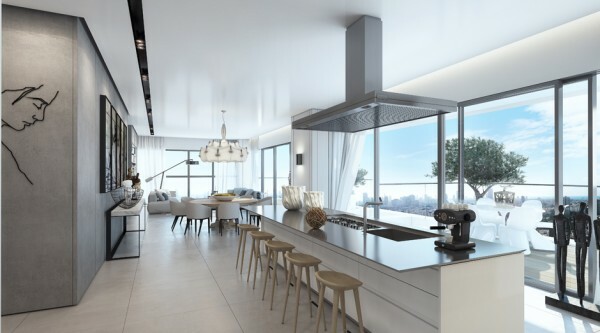 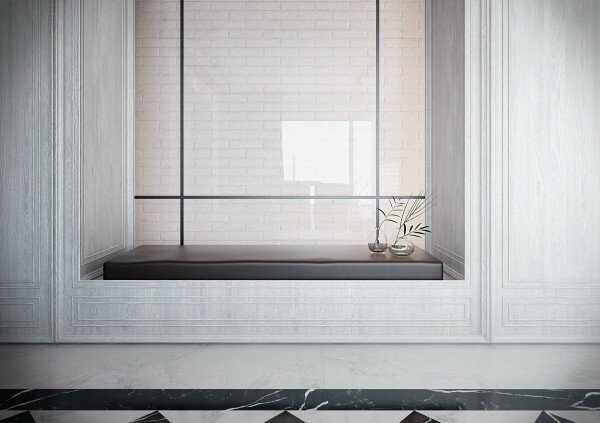 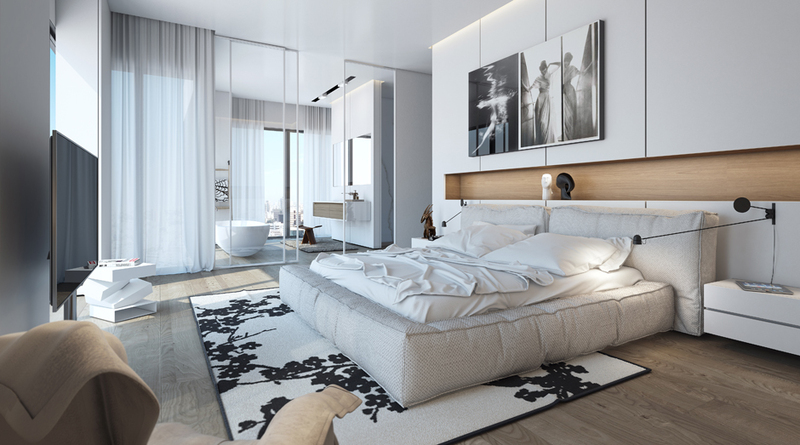 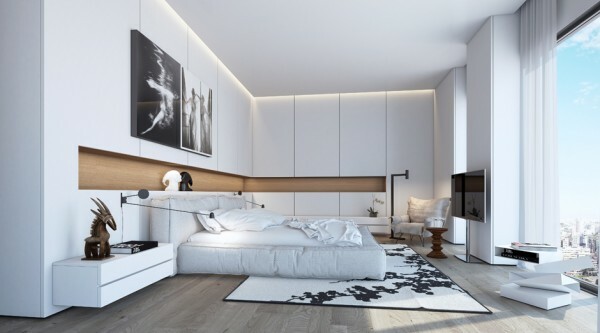 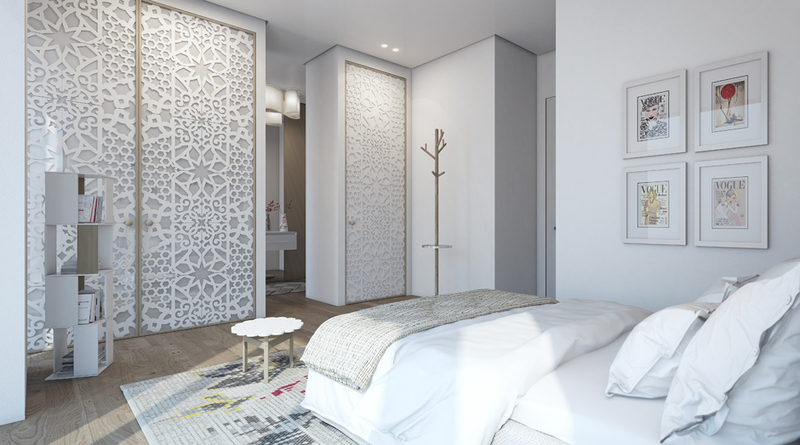 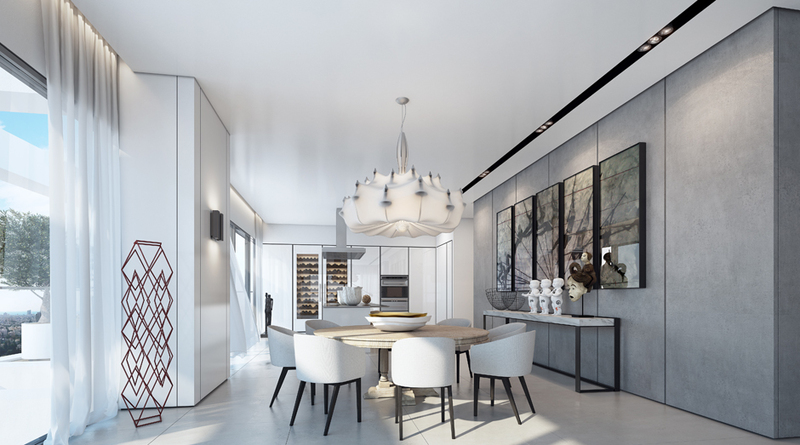 Our second home is the Alie Parusa apartment in Moscow, visualized by Stanislav Orekhov. 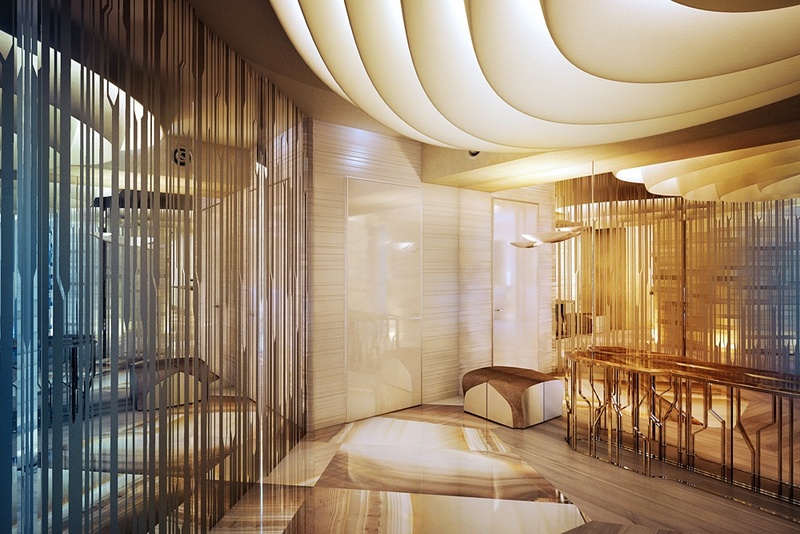 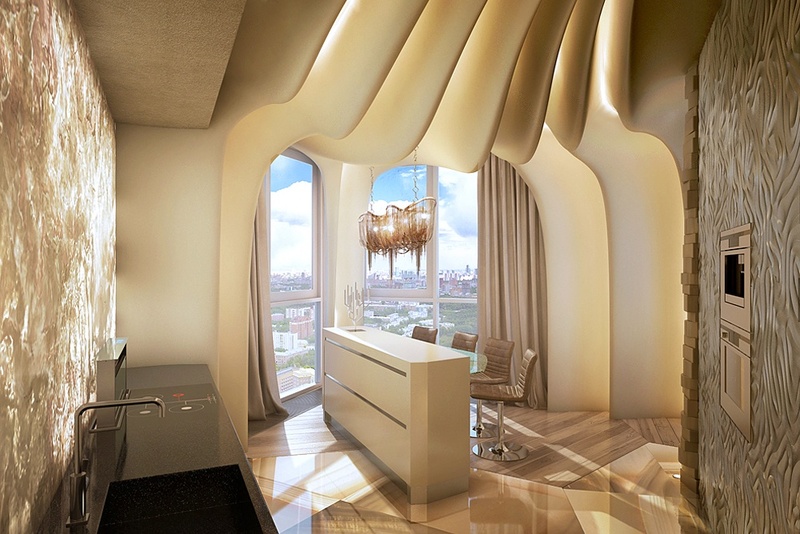 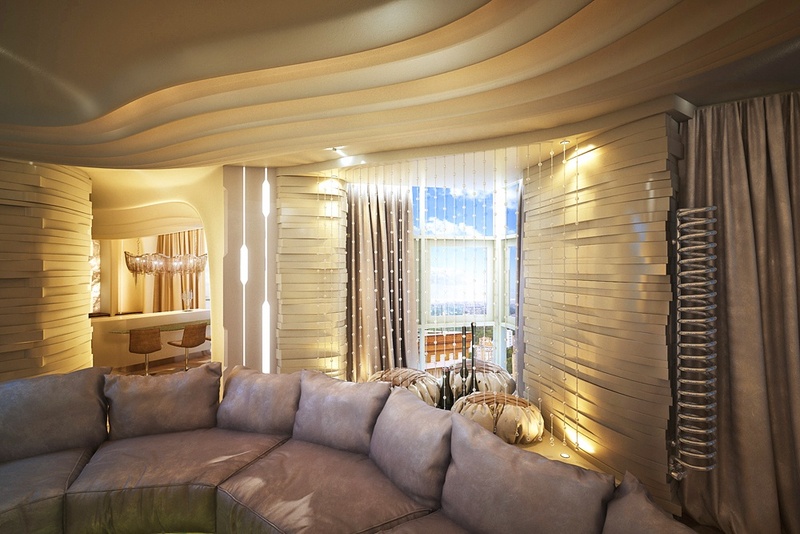 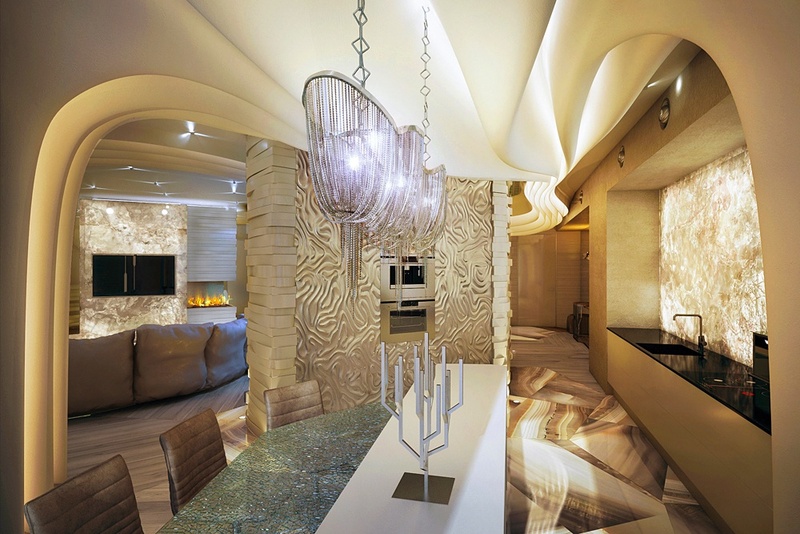 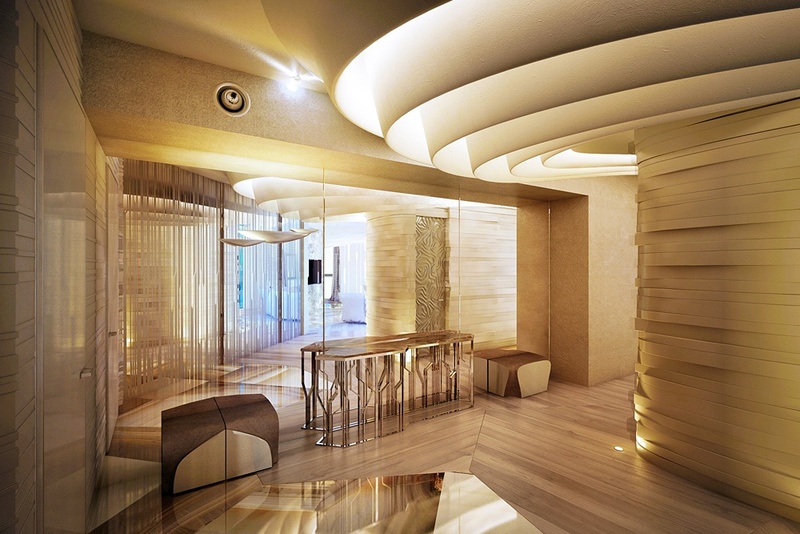 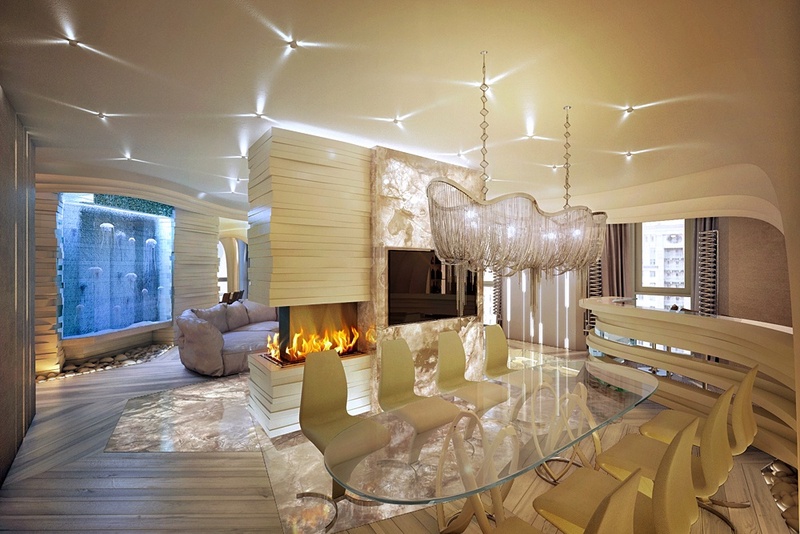 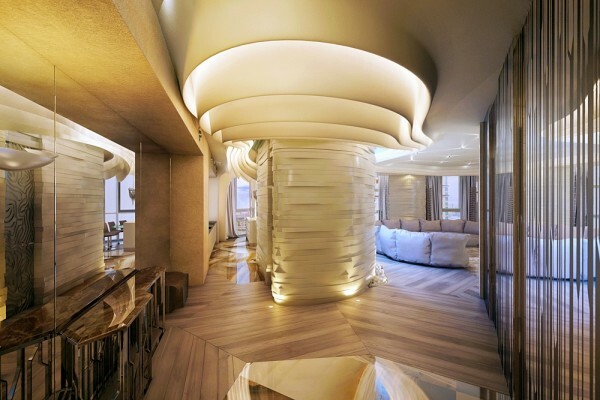 This is a highly unusual yet cozy contoured cocoon where ceiling fins reveal waves of light and shadow. 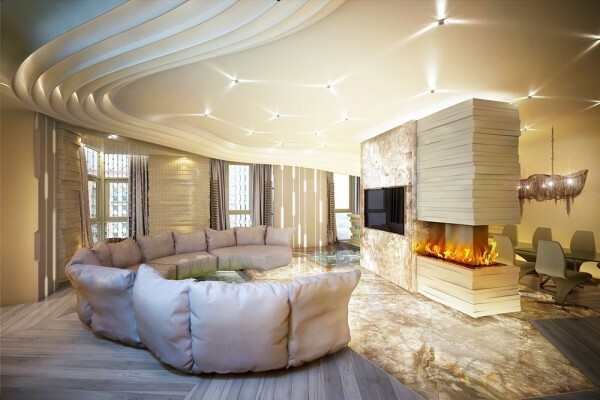 A curved, pillow-soft sofa follows the organic shape of the room, and a huge built in aquarium holds a bloom of jellyfish to add to the quirky nature of this unusual pad. 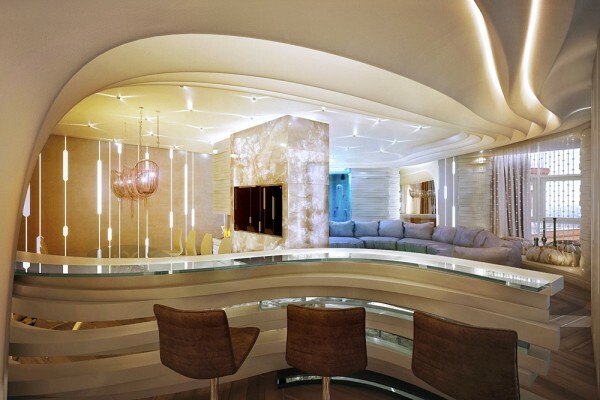 A bar area casts another curve. 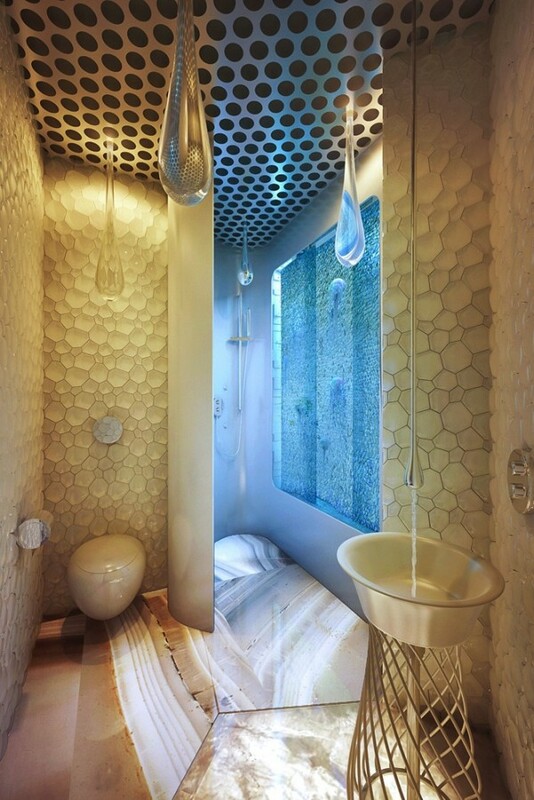 Shell-like wall tiles adorn the bathroom, where the lighting and faucet ‘drip’ from the ceiling. 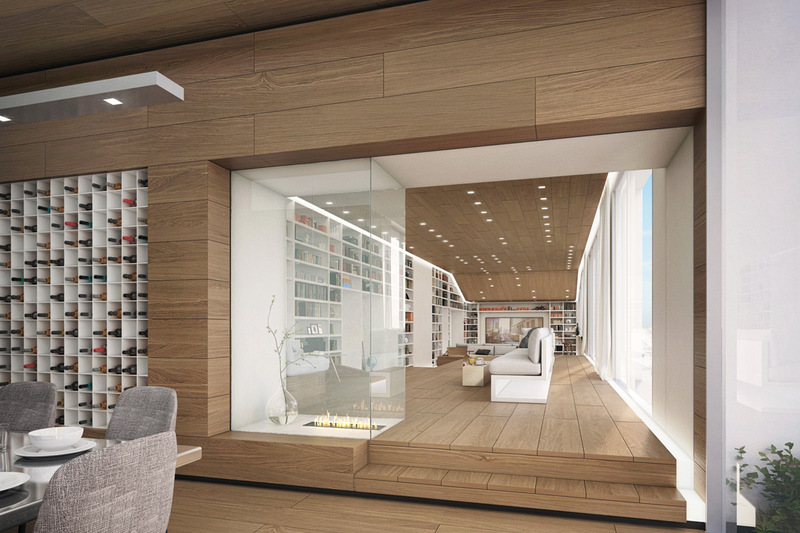 The third home design, by visualizer Kframe, featured an undulating display wall built in rich wood grain; display shelves extrude at irregular intervals to cradle books and collected treasures. 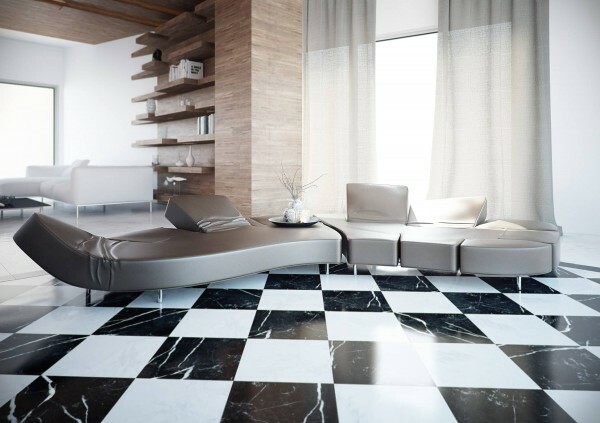 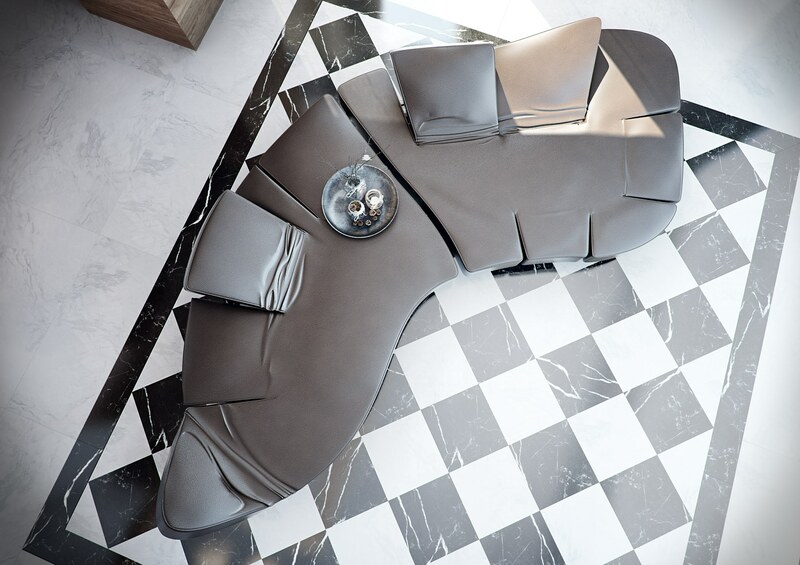 A checker board floor sits beneath a curvaceous seat with customizable backrests. 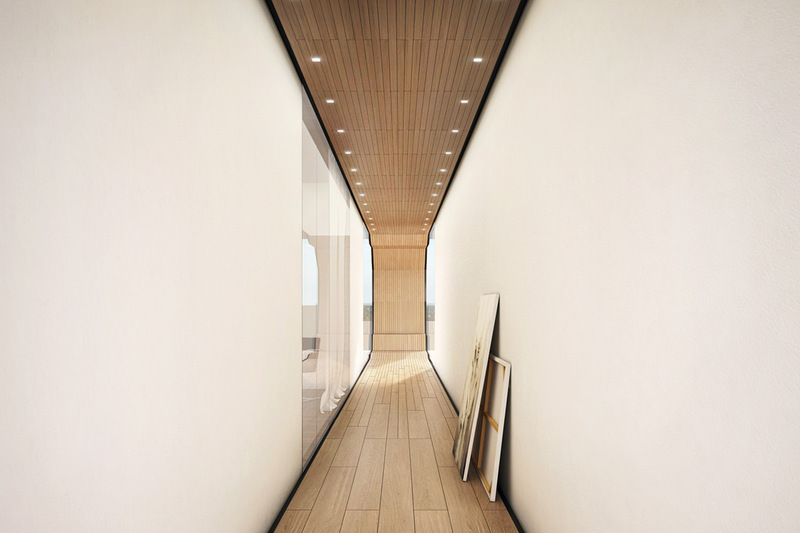 A little tamer than the rest, our fourth is visualized by the talent at Ando Studio. This sleek offering features unconventional, eye-catching accessories to shake things up. The intricate cut-aways on the closet doors provide another visual feast.